We’d love your help. Let us know what’s wrong with this preview of Faith Formation 4.0 by Julie Anne Lytle. To ask other readers questions about Faith Formation 4.0, please sign up. Author Julie Anne Lytle explores the growing reality that the internet and related interactive media play a role in faith formation. Jesus' great commission was that we go into all the world and proclaim the good news to all creation. Why shouldn't email newsletters, websites, and social media be used for ministry? Given our connected world, I don't think we can afford to debate whether God is online. People are turning online for answers. We have to meet people where they are. 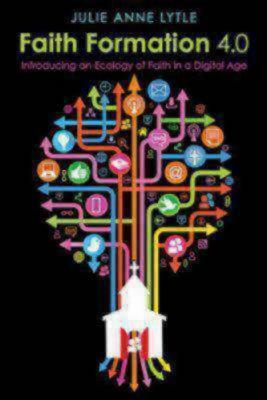 This book is heavy Author Julie Anne Lytle explores the growing reality that the internet and related interactive media play a role in faith formation. This book is heavy on communication theory. I would have loved more case studies. A bit of a retread of other books in the genre. Some helpful articulation of communications theory, though. I would've liked more case studies of how real communities are making 4.0 happen.